A pearl necklace is such a romantic gift, the creamy surface of the pearl offsetting the skin to perfection. This pink pearl bracelet is even more special, with the flawless pink 8-8.5mm pearls all matched beautifully and strung on silk, knotted between each pearl and finished with a beautiful silver and cubic zirconia ball clasp. 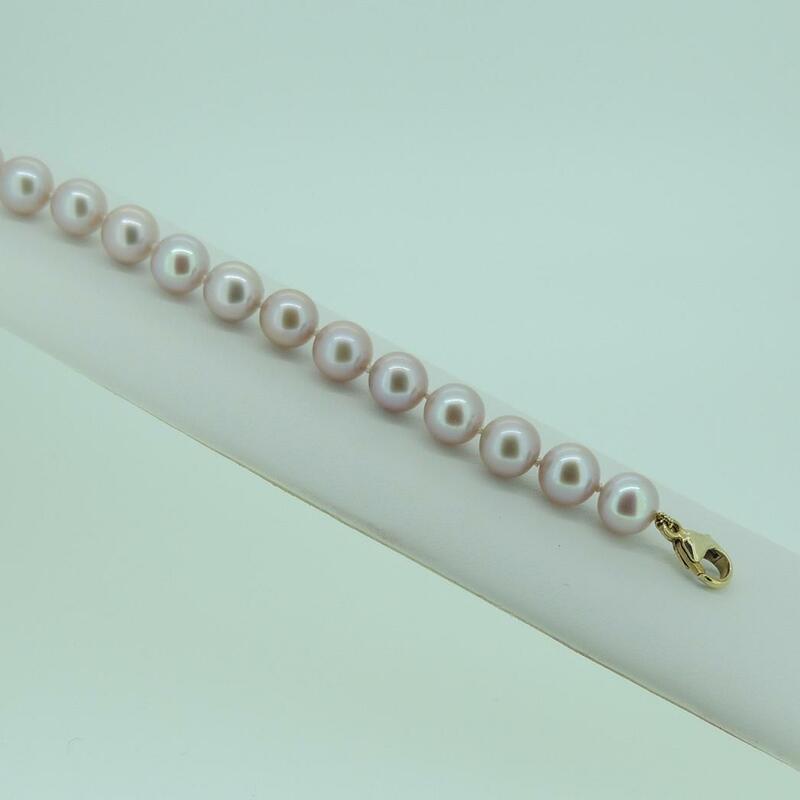 The delicate beauty of this pink pearl bracelet makes it ideal as a gift for special romantic occasions such as anniversaries (the thirtieth anniversary is pearl), engagements or weddings.